RAHWAY,Â N.J., March 19, 2012 â€“ iHome today announced that two of its products – theÂ iW1 Wireless Rechargeable Speaker System with AirPlayÂ®Â and theÂ iP4Â Portable FM Stereo Boombox for iPhone/iPodÂ â€“ have received the internationally renowned red dot award forÂ fine design in entertainment technology. The red dot design award dates back to 1955 and is one of the worldâ€™s largest and most distinguished design competitions.Â In 2012, 1,800 companies and independent designers from 58 countries registered for the â€œred dot award: product design.â€ Â Within the competition’s 19 different categories, a total of 4,515 registrations were submitted. Â The award â€“ the red dot â€“ has established itself internationally as one of the most appreciated quality seals for outstanding designs. 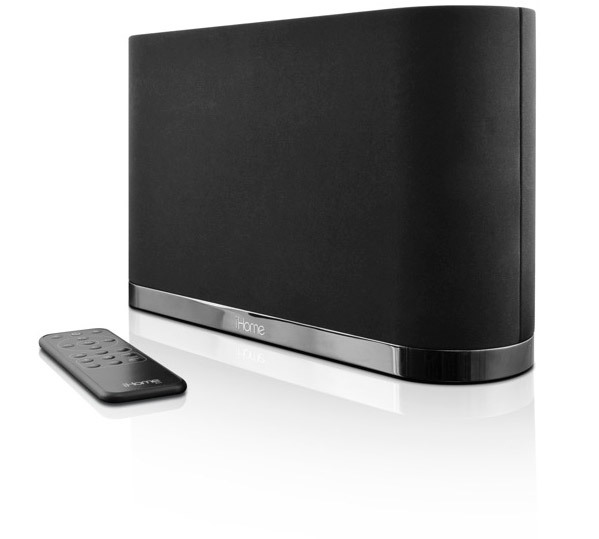 For further information on the iW1, iP4 and the rest of the iHome product line, please visitÂ www.ihomeaudio.com. iHome was established in 2005 as a division of SDI Technologies to develop and market iPod compatible audio products.Â The first iHome product introduced, the iPod Clock Radio, was an exceptional success that became the top-selling iPod accessory for the year, and firmly established iHome as the premier brand in the iPod electronics market.Â Since then,Â iHome continues to be the #1 brand in iPod/iPhone/iPad clock radio and speaker systemsÂ according to NPD data and has been at the forefront of design with a growing lineup of award-winning iPod-compatible audio products that includes alarm clocks, clock radios, portable and home speaker systems, and headphones, as well as new licensed lines of computer accessories and New Balance sport/fitness headphones.